First up is today’s project which is an easy hooded wrap! I love this so much. It is made with the ever simple knit and purl stitches as well as some basic yarn overs and decreasing. Believe me, even if you’ve only learned to knit and purl, the yarn over and decrease will be really easy to master. 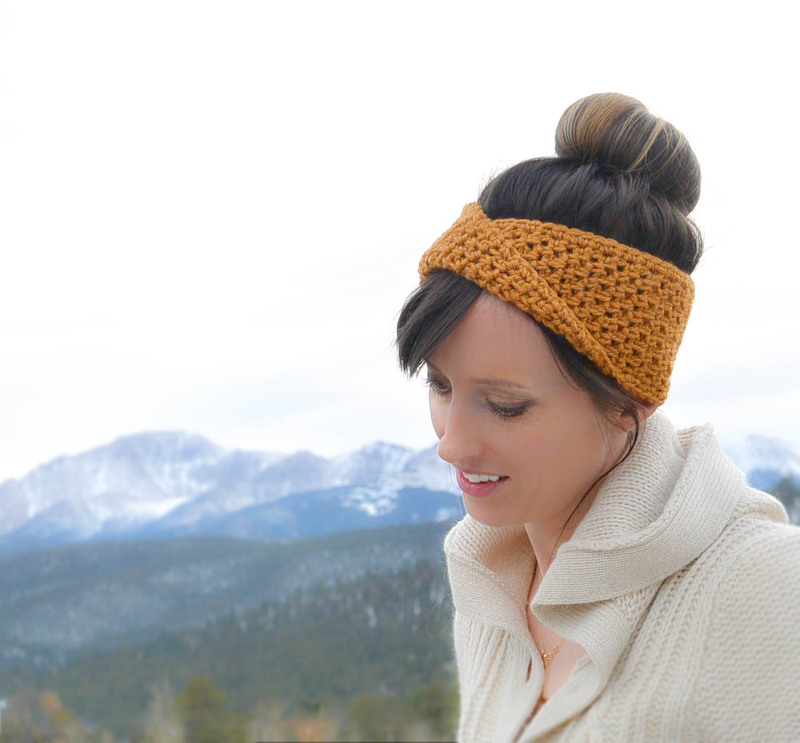 The pattern creates a warm and cozy wrap that’s eye catching and practical. The yarn itself is an absolute favorite of mine as it’s super bulky and also very soft and quite similar to Lion Brand Yarn Wool Ease Thick & Quick. The dark yarn is sure to go with any outfit and it won’t show dirt either. 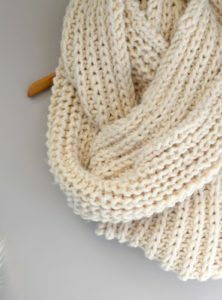 The stitching is a variety of garter stitch, yarn overs to create an open look and the ends are done in the seed stitch. There’s really no getting bored with this pattern as it’s a lot of fun to see it all come together! My neighbor recently knit a hooded scarf for her sister and it looked so cozy and beautiful. 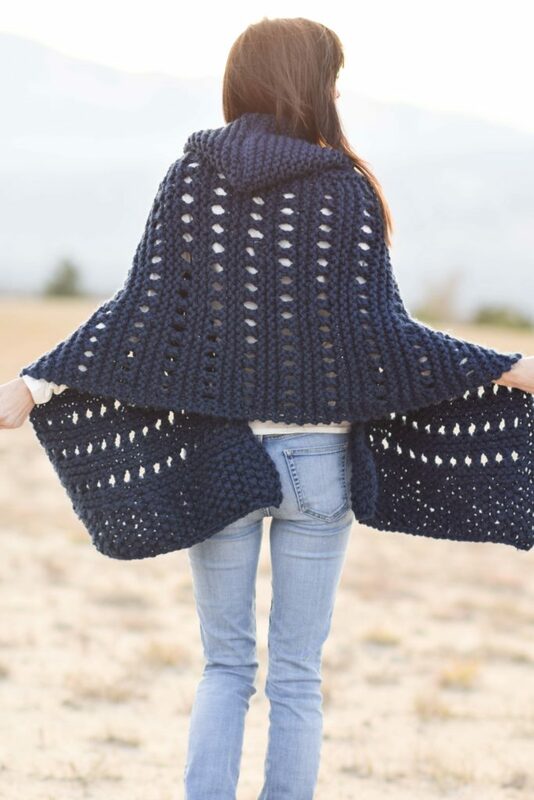 I thought that it might be fun to make a hooded wrap to add to the warmth and coziness of that idea. This hooded wrap is much like a warm shawl or oversized scarf with a hood attached. Picture yourself walking about on a brisk day, keeping warm by the fire or even chill’n at a football game while wearing this piece. It’s like a mini blanket with a hood. LOVE! I also love the texture that the stitch pattern provides, and while it looks complicated it’s not. This is the first time that I’ve used this yarn as it’s brand new to the market and it is AMAZING. 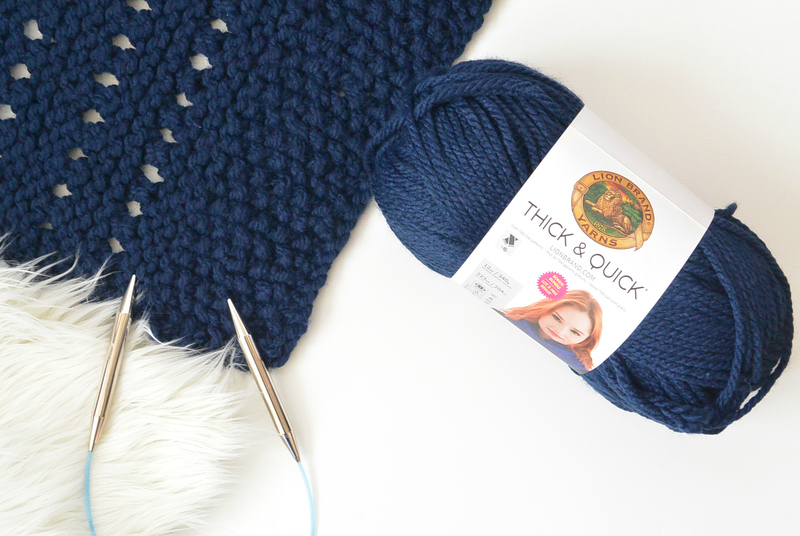 It’s no secret that Wool Ease Thick & Quick is my go to yarn. This is nearly the exact same thing, but it is 100% acrylic. I know this is a welcome thing for many of you with allergies to wool! It is super soft, great to work with and completely washable. So shall we get to this ever so cozy pattern? I say yes! You can find the free pattern below or you may also find an ad-free, printable version available for purchase in my Etsy Shop by clicking HERE! 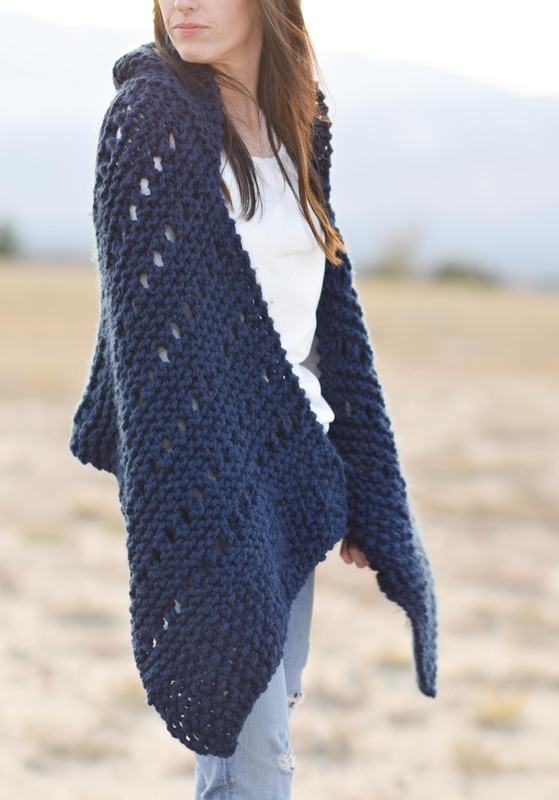 This wrap is made by knitting a simple rectangle while following the stitch pattern. 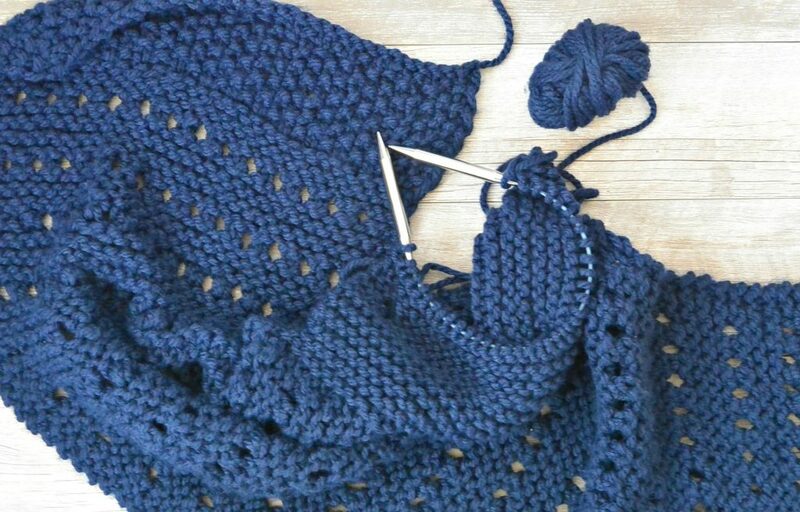 The hood is worked by picking up stitches, knitting several rows and then seaming to finish. 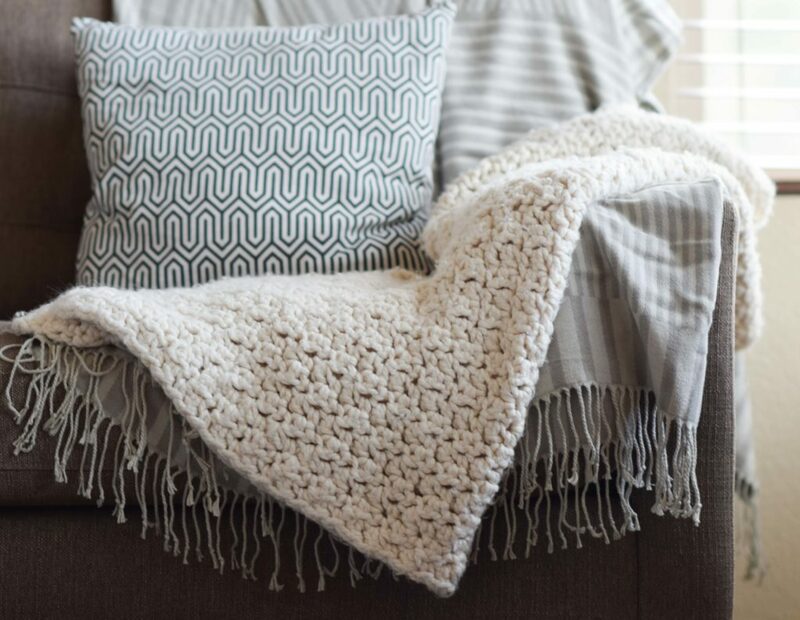 Repeat rows 1 – 7 until entire piece measures approximately 50” ending with 6 rows of knit stitches. Fold wrap in half to find center. Place marker 10” from center on each side (20” total). Pick up 38 stitches evenly in center. Cast off leaving a long tail to seam hood closed. 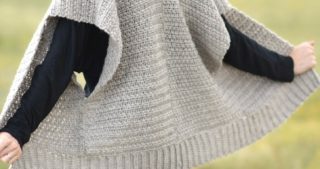 Fold hood in half and seam with length of yarn and tapestry needle using a simple whip stitch. Tie off and weave in ends. That’s it! Now wrap yourself up in it and give yourself a hug. I hope that you love your new hooded wrap! Happy knitting! I’m going to have to learn how to knit again! Love the way the hooded Adak Wrap looks. Unless there’s a crochet version? Ok, I will dust off the needles. 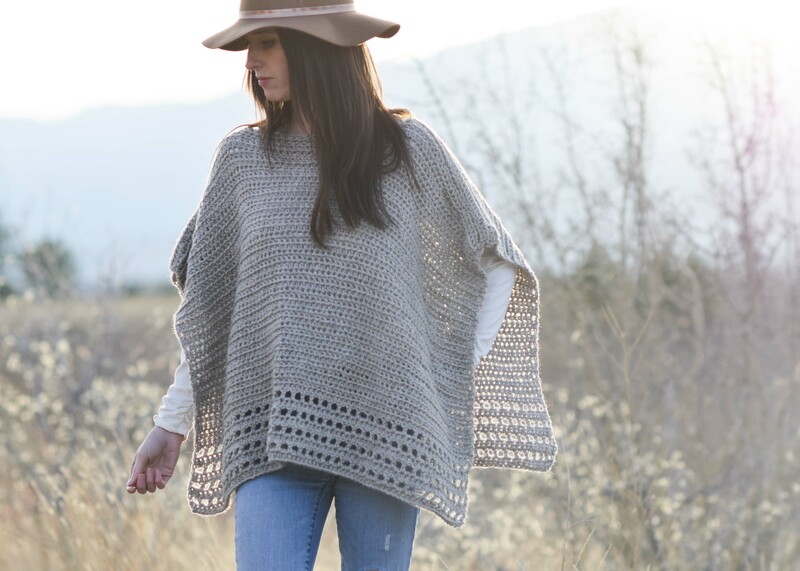 And super excited about the Light Alpaca Poncho! Omg…. is there a crochet version of this. I’m in love!!! This is beautiful! Any chance you could convert it to crochet? Beautiful! Always a pleasure to check out your patterns and beautiful pictures! I love to knit but have never knitted anything with circular knitting needles! Scared!! Ha,ha. This is indeed a great idea, Jessica, but I am the slowest knitter on the planet, so I’m hoping you’re planning a crocheted version. Hint, hint. 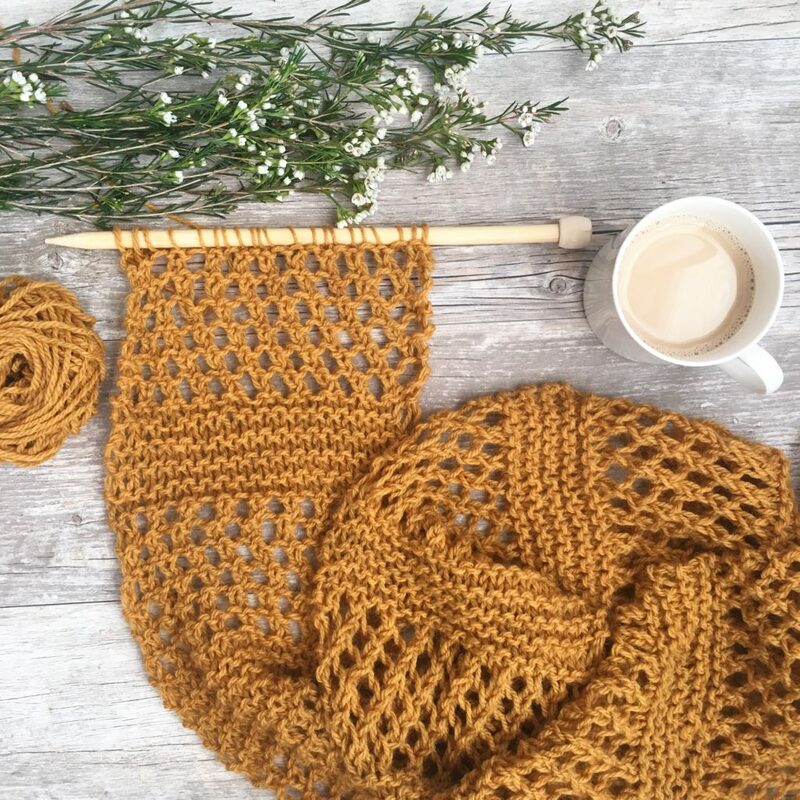 I’m a lover of yarn too, and that why I sincerely thank you for your patterns.It’s very kind of you to offer your beautiful design for free. I greatly appreciate and enjoy them. Thank you very much. So pretty….Im too fat to wear this sort of thing but i can dream 🙂 …. Great job!!!!! Not at all – larger ladies look particularly awesome is ‘swooshes’ of shawls or big scarves/wraps – and if you make it yourself you can adjust the size. Look majestic! I LOVE this! I’m definitely going to make this one. Thank you for all of your wonderful patterns. Jessica, I love all your projects. I notice that you knit flat with circular needles, but I really have difficulty using these type of needles on flat projects. Do you have any recommendations or tips? Will using straight needles on your projects completely alter the end results? Thank you. I can convert this pattern on a loom. I have problem with holding knitting needles for a long time, my hands and fingers have nerve damage in them, I found that knitting on looms makes knitting fun again. I really do love this pattern thanks! Hello and thank you for sharing your beautiful work. 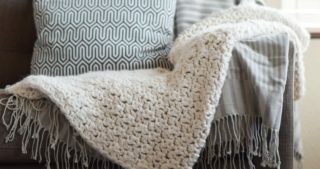 I was wondering would it be possible to convert your pattern to Crochet? If not I’m still going to print the pattern out for my Sister. Her and Mom knit, where as I crochet. Thank you for this lovely knit project. I prefer knitting, so, I’m always happy to see you offer a knitted piece. I’m on a navy kick right now and I love how this looks. Your posts always inspire me. My first time on your site ! What a great project and so simple……do I have to use a circular needle. I have 17 ” straight and do not want to purchase a new circular. I started with the circular needles but switched to long straight needles. I am a beginner, had trouble with the circular. Give it a try. I love love this. But I don’t know how to knit. Any chance a crochet version is in the works? I agree with most of the women on here. Is there s crochet version of this pattern? My first time at your post or column. I knitted for a year. I switched to crocheting, so much easier,not as many loops to lose. I love crocheting. I hope you can convert this to crochet. I love your patterns,how you make your patterns available for free. Thank you!!!!! Hey Cindy! So nice to hear from you. That’s awesome you got the kit. Let me know if you have any questions at all! Do you have a crochet version? Thx. Jessica I love this hooded wrap. Though simple it looks beautiful! I will try some times. This is so pretty! I’m going to need a bigger dresser for all my cozy knits thanks to your wonderful patterns! 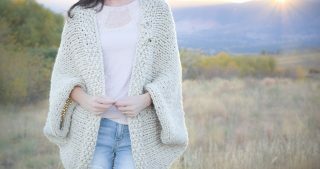 I’ve been knitting for 8 years and just completed my first cardigan and also just need to sew up the blue jean yarn pullover sweater from your blog. I think this would also be great for older kids who are past their baby blankets but still want to wrap up in their own blanket. I think I’ll make it for my 7 year old. Thank you! Will there be a crochet version? 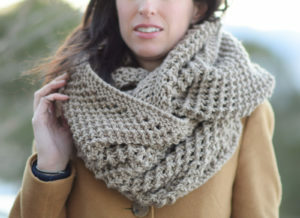 Love this pattern, but I only crochet! I don’t have plans for one Saundra but I’ll keep it in mind. I’m getting a lot of requests for one. OMG! You were supposed to release both a knit & crochet version of this. Knitting is on my vision board for now. Crochet version pleeeeeeeeease! Lol! I need to grow four more hands! Hi Wendy! Thanks so much for your support and kind words! I’m thrilled to hear that you’re pleased with this one! HiJessica…waiting on the post for the light alpaca poncho pattern. I ordered the light alpaca yarn last week in jade, so awaiting that delivery as well. I would have purchased the kit on the LB site last week when it was discounted, but I want it in a color versus neutral. Thnx for all of your hard work. You must crochet REALLY fast, the way you churn out these patterns and makes from them every week! I wish I could crochet all the time, but alas —I must pay the bills and feed three teenagers! Thnx again! I’ll be sharing the Light Alpaca next week if all goes as planned! The Jade will be gorgeous. And I am fortunate to gettk crochet so much lately for sure. But I’m not super woman! Many of these patterns have been in the works for months by the time I get to blog about them. Have a great day Vicky! I believe they refer to it as Super Chunky, but honestly I don’t know for sure! Hello! I was so excited you posted the Adak Wrap Pattern! I ordered the needles and just my HUGE bundles of yarn today. As I was casting on the 33 stitches, they needed to be spread wide on the needles to begin knitting. 33 stitches didn’t seem to be enough to achieve the width of the wrap. Am I reading it wrong? Has anyone else had this problem? Or has anyone else used straight needles instead? I haven’t heard this yet from anyone else yet. You might find that it is wider than it appears at cast on once you knit many rows. You’re also welcome to you straight needles if you have some that are long enough to hold all of the stitches once you get into the wrap. Thanks for asking Janie! I have the same issue. I just finished this piece, on the recommended circular needles and it is only wide enough to cover my shoulder blades and barely comes to my wrists even after adding an extra six rows on each end. 🙁 The only change I made was using LB Thick & Quick Velour instead of Acrylic or Wool, because I already had it on hand. My gauge test was spot on so I’m not sure what went wrong. Hi Sonja! That’s too bad! I’ve never heard of Lion Brand Velour yarn and tried to look it up but can’t find anything online about it. From the info you gave me, it sounds like it could be the yarn difference that caused an issue. Thanks for the input! I got the correct yarn and the piece was 18″ wide following the pattern. Hooray!… maybe. After about 24″ I draped it on myself and it was still too narrow. Then I remembered you posting that you are 5’6″ and realized I was going to have to modify because I’m a smidge over 5’9″ Third time’s the charm, right? I CO 41 for a final width of 21″ and all is well. Thanks again for all your patterns. Thanks so much for your reply Jessica! I was actually going about it all wrong I have already completed half of the shawl part and its been so much fun! I have been searching for a pattern like the shawl that Rebecca wears in the Daniel Boone TV Series and this is very close! Can’t wait to snuggle in it…hood and all! Hi, this is my first time visiting your site and I’m in love! Can’t wait to do this pattern and I’m looking forward to the poncho as well. Hi Dawn! I’m so happy you stopped by! 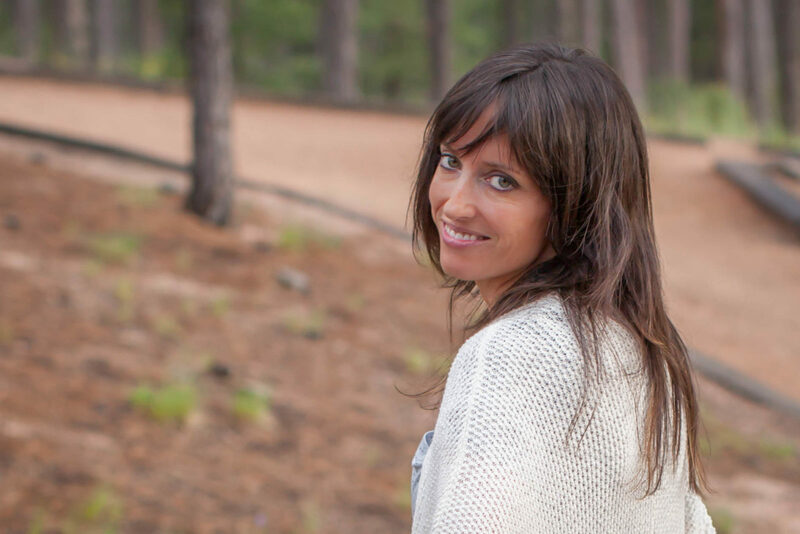 Thanks for your kind words – I’m posting the poncho today actually! Love your free patterns. Just finished the hooded wrap on straight needles. I am a beginner and had trouble with the circular needles. I brought new circular needles. The line between them wanted to stay in the packaged shape. Any suggestions for fixing the problem would be appreciated. It is really cold here in Illinois. I have been snuggling in my wrap of a evening. Can’t wait for Spring!! Mine didn’t look as long either. I think if you use an iron and block it a little by stretching it. That is what I plan to do. I think it will definitely stretch some with wear. Hope this helps. I’m almost done with mine. Wow…Lovely pattern! These hooded patterns are awesome. I can’t wait to give this a try. Thanks for sharing. Hi Jessica! Beautiful work, as always. I’m confused at the end — when you say to “pick up 38 stitches evenly from center”. I counted 19 stitches both ways from the center, but ended up short of the 10″ markers. When you pick up stitches, do you go from the 10″ marker to the 10″ marker, or just count 38 stitches, then pick up? I’m a beginner, so maybe I just don’t understand the terminology. Thanks in advance! Hi ya, hoping to pick up some lion brand wool here in Oz. But I’m not sure how many skeins are in a ‘bonus bundle’?